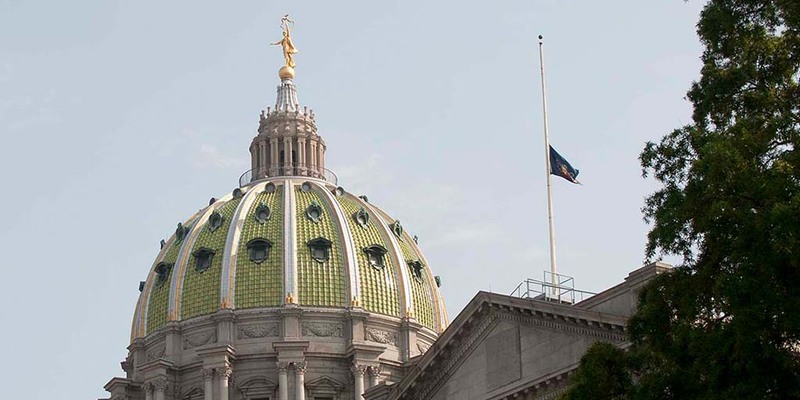 Harrisburg, PA – Governor Tom Wolf has ordered all commonwealth flags on the Capitol Complex, at Commonwealth facilities, and throughout the state lowered to half-staff, effective immediately. This order is being issued as a mark of respect for the victims of the attack in Thousand Oaks, California. All commonwealth flags should be flown at half-staff until sunset on Saturday, November 10, 2018. Per an order from the White House, the United States Flag has been ordered to fly at half-staff until sunset on Saturday, November 10, 2018.